It was kinda awkward when I learned that Arsenal were going to wear our away kit in a home game. I can only recall seeing this in FIFA but it didn’t , matter – Arsenal was about to host Basel with Group A for the taking. As expected, Wenger kept the faith with the same side that has been in great form with the only exceptions being Granit Xhaka coming in for Francis Coquelin and David Ospina getting the nod ahead of Petr Cech. The Gunners began the game in blitz mode barraging Basel’s goal with waves after wave of attacks. The match opener arrived when Santi Cazorla teed up Alexis Sanchez on the edge of the area and he lofted an inviting ball that was headed at point blank range by Walcott. He had to do really well to evade the post as his momentum pushed him to that direction. Walcott doubled his money after he connected superbly with Alexis before drilling a shot that crept past the goalie. For a man that started the season pretty poorly, Walcott is on fire! Then there were the misses, or will I say, the excellent goalkeeping from Basel’s Vaclik. The lad showed off good reflexes to stop Nacho Monreal from scoring his first goal in many games and there was also a time he stopped Hector Bellerin when he had a rare foray forward. However, there was nothing Alexis could do to get past the goalie. Shot after shot, Valcik made himself really big when he faced the Chilean and the Gunners could easily have been out of sight by halftime. According to the statistical folks, Arsenal had 17 attempts on goal in the first 45 minutes with seven of them on target. Just like the Chelsea game, the Gunners took their feet off the pedal and were almost punished when Bjarnason was unmarked at the edge of the box. 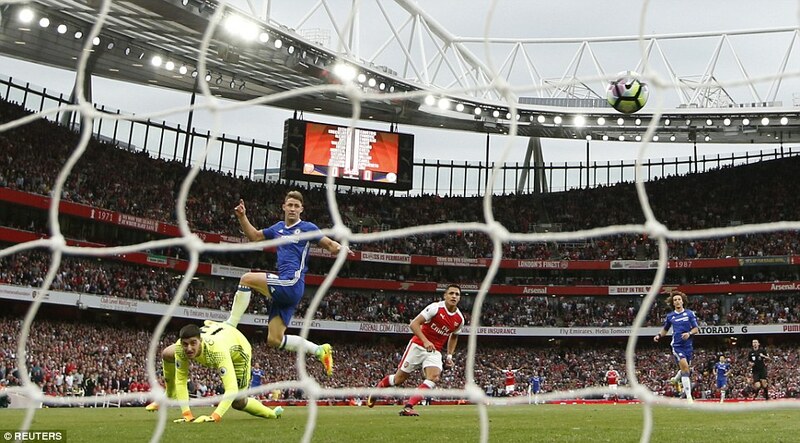 The Icelandic international sent a swerving shot that was nudged over the bar by David Ospina. For a keeper that had nothing to do all game long, that was a stunning save. There were more cracks at the back when Sporar found himself clean on goal but Ospina held firm to deny the striker a good goalscoring opportunity. Late on, there was a chance to make it 3-0 when Alex Oxlade-Chamberlain dribbled past the keeper but his attempted pass to Sanchez was blocked by a Basel defender. It the end, it was a satisfying game with the Gunners dominating from start to finish. Walcott rightly ended the Man of the Match and took out some time to talk about his newly-found chemistry with Alexis and we have seen the benefits of having the Chilean maverick leading the line. The team has really gelled and it’s great to see everyone performing so well. The Kostafi combination at the back has been awesome and the full backs have been doing their bit to support offense and defense effectively. Mesut Ozil’s has blown hot and cold but he really needs to work on his shooting accuracy. All in all, it felt like the Chelsea game all over again. Amazing attacking display in the first half, mature and calm display in the second.